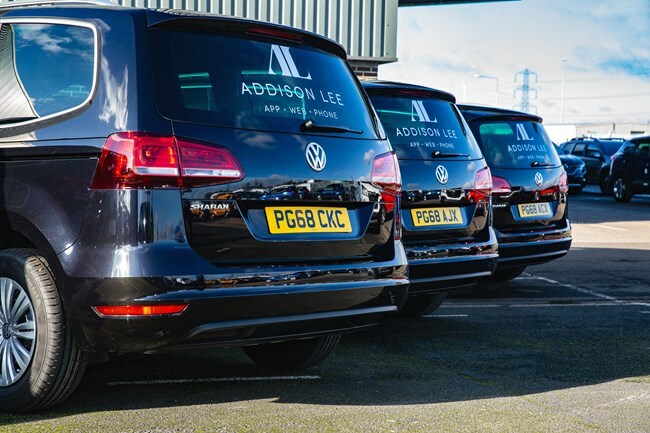 £41 million have been invested by Addison Lee Group on 1,200 Volkswagen Sharan MPVs that will create an ultra-low emission zone-compliant fleet for London. The Euro 6 diesel Sharan SE 2.0 TDI BlueMotion 150PS DSG models will be compliant with Transport for London’s ULEZ, which comes into force on April 8. “We share Transport for London’s ambition to clean up London’s air, and this multi-million investment in new vehicles will make our entire fleet compliant with TfL’s low emission standards and start the process of moving towards a zero-emissions capable fleet,” said Lisa Burger, chief operating officer for Addison Lee Group. The move into the Sharan models is the start of a journey towards a zero-emissions capable fleet by 2022 for Addison Lee. The group has also assessed technology choices across other parts of its fleet – including electrification – with pilots expected during this year. In addition, the company will consider both plug-in hybrid vehicles (PHEV) and battery electric vehicles (BEV) from a range of manufacturers. “We are keen to move quickly to an electric fleet for the benefit of London’s environment, but are limited by London’s charging network, which as the report by Dr Rebecca Driver demonstrated, cannot support a shift to electric by the capital’s private hire and taxi industry,” Burger added. If only 25% of the 108,700 taxis and private hire vehicles operating in London were to convert to ULEVs, then more than 2,135 rapid chargers would be required just to meet the need of the sector, found Driver’s The Provision of Rapid Charging Points in London report, published in 2017. If all 108,700 converted, then 8,540 would be required, without considering the needs of other types of fleet operator or private users. In contrast, when the report was written there were 75 rapid recharging points available in London, with the plan to increase this to 150 by the end of 2018 and 300 by 2020.